Congratulations Sue Lessard On Becoming A New Silver Manager with JR Watkins! We are very proud of you, Sue, and the efforts of You and Your Team. We are very thankful you are all a very valued part of our Team. 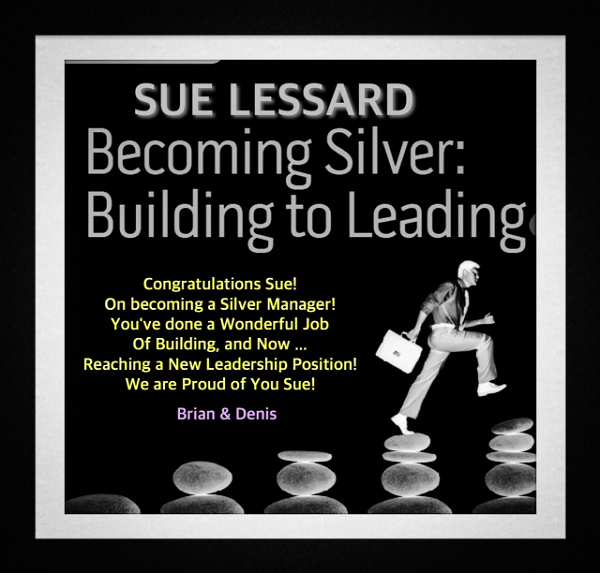 It took us 5 years years to become Silver Managers, and Sue Lessard and Her Team have done it in half that time! We know Sue has done a wonderful job of building her business quickly and has also become an incredible Leader for Her 4 Personal Managers, and the others on her Team. To visit Sue’s Watkins Site Click Here. This is also a great testimony of how, as a Watkins Consultant, and Manager, You can progress and move into Leadership positions that equal, or surpass your Sponsor, even in record time, and both You and Your Sponsor, continue to benefit! This is something very unique to Watkins, and Watkins Products Consultants, as very few Companies within our Industry allow, or make way for this with everyone continuing to benefit! I love the fact that many of our Managers earn as much, or more, than we do! That We really can help all our Team Members advance, and even surpass us, and we all benefit! Making Cinnamon Vanilla Hazelnut Sugar Cookies on Valentines Day! ← What Does It Take To Succeed In Our Business?